Thousands of commuters across South Yorkshire are benefiting from better ways to buy public transport tickets following a shift to smart technology at Travel Interchanges. Major terminals such as Meadowhall Interchange and Sheffield Interchange are successfully adapting to the new retail approach, as South Yorkshire Passenger Transport Executive (SYPTE) focuses on accessible and flexible products and services for its customers. Cammax was awarded a major Framework Contract by SYPTE back in 2013, and have since deployed over 80 TVMs for different Councils and Transport Authorities across the UK including 17 outdoor card TVMs, five full cash TVMs, and 23 Smart Retail Points, with over 100 more TVMs due to be rolled out this year. Such was the success of the Smart Retail Points (SRPs) in particular, Cammax have rolled the Point of Sale (POS) management application – which allows the management and retailing of Smart Tickets – out to clients including TravelMaster, TransDev, Department for Work and Pensions, and Charge Your Car. South Yorkshire’s whole multi-operator ticketing process has seen a transformation since switching to an all TVM system at a number of its stations. 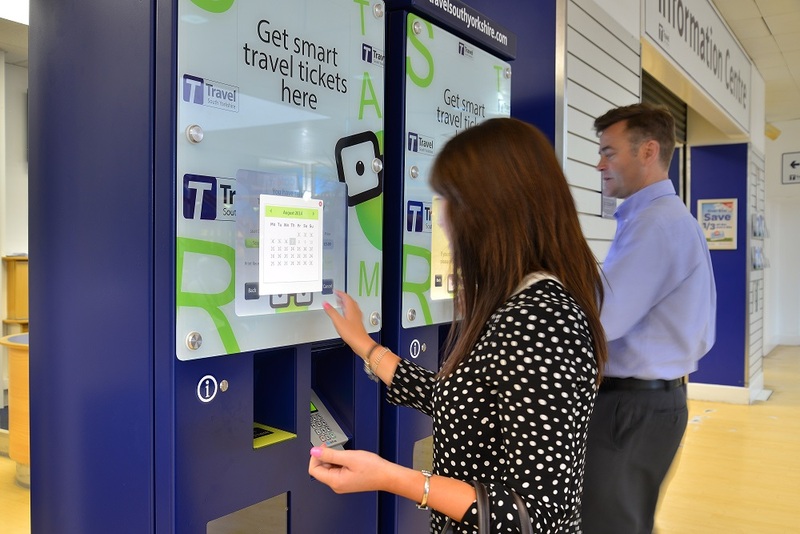 The update of SYPTE’s voucher system by Cammax has meant that customers can now redeem smartcards at a TVM 24/7 instead of having to visit a Travel Information Centre with a piece of paper to collect a ticket. The transition to TVMs has gone hugely to plan and has cut waiting times for customers drastically as well as making processes much easier for commuters. The two businesses continue to work closely together to develop ticketing software and TVMs to ensure the commuters of South Yorkshire enjoy a quicker, smarter, and more efficient user experience.